...and the Servin-Casanova case, Boris stops taking on responsibilities within the Communist Party. 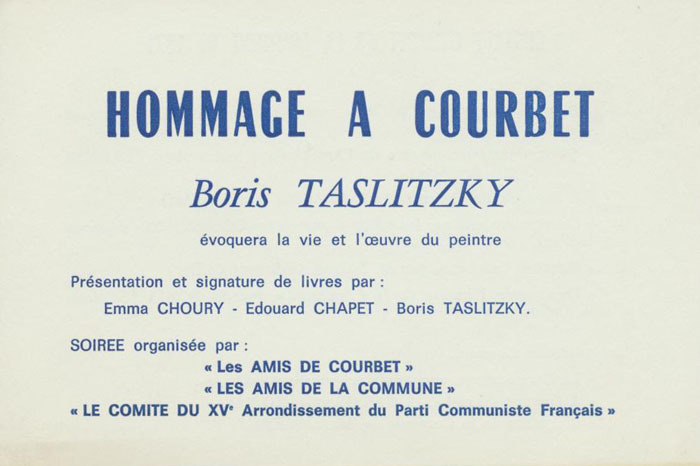 1962 : The collection of short stories « Tambour battant » is published by the French United Editors. 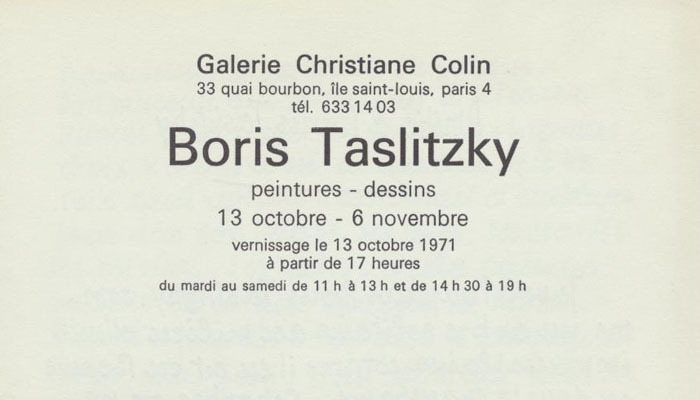 1965-1970 : He produces a series of drawings of the Parisian suburbs (Saint-Ouen, Stains, La Courneuve, Bobigny, Drancy, Épinay/Seine). 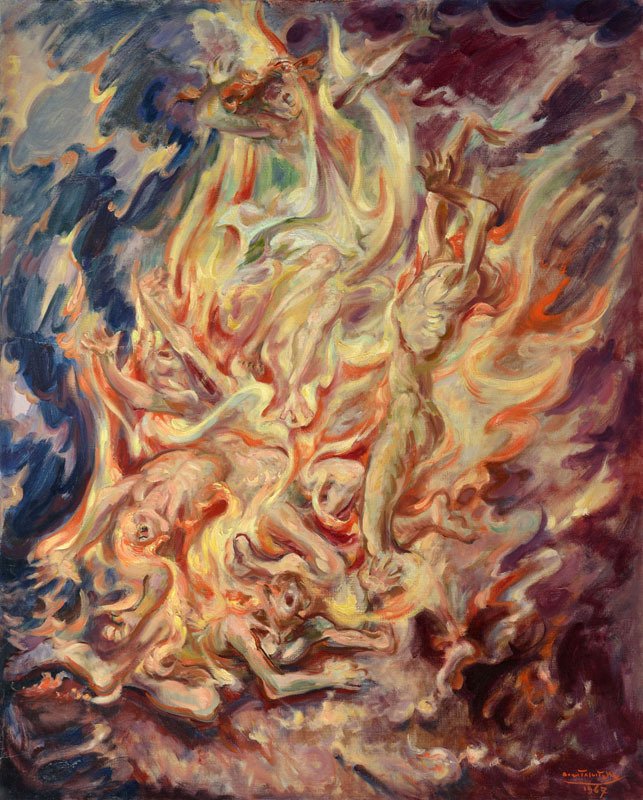 1967-1969 : He paints « the "Napalm" Series ». 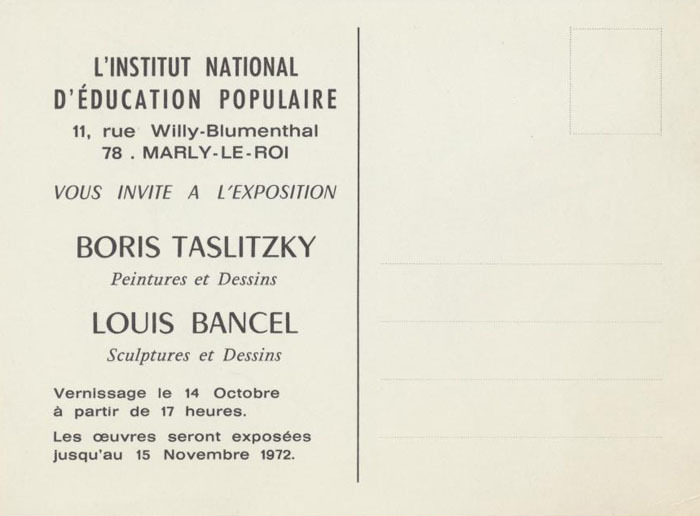 10th - 18th May 1969 : Exhibition at Dammarie-les-Lys. 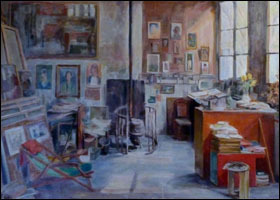 ...where his studio is located is demolished ; he obtains a studio of the City of Paris, 7 passage Ricaut in the 13th Parisian district. 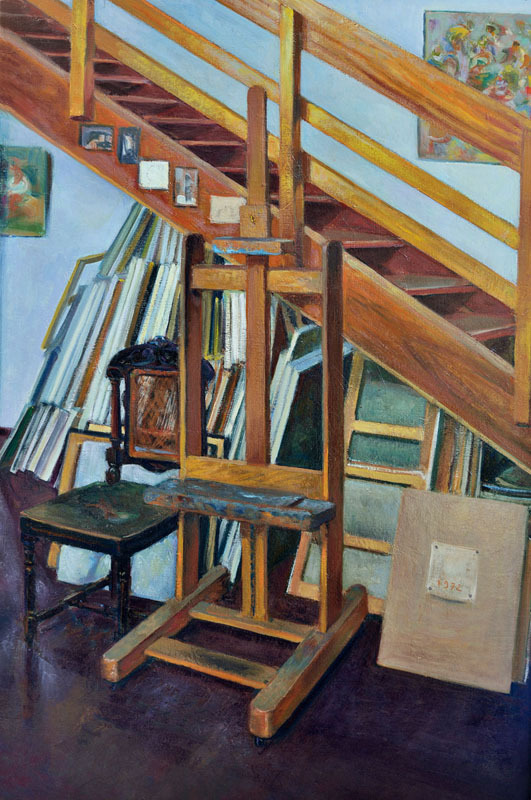 ...He restores the teaching of drawing and presides over the commission which decides to create « Dating Workshops » (Atelier de rencontre) in 1975. 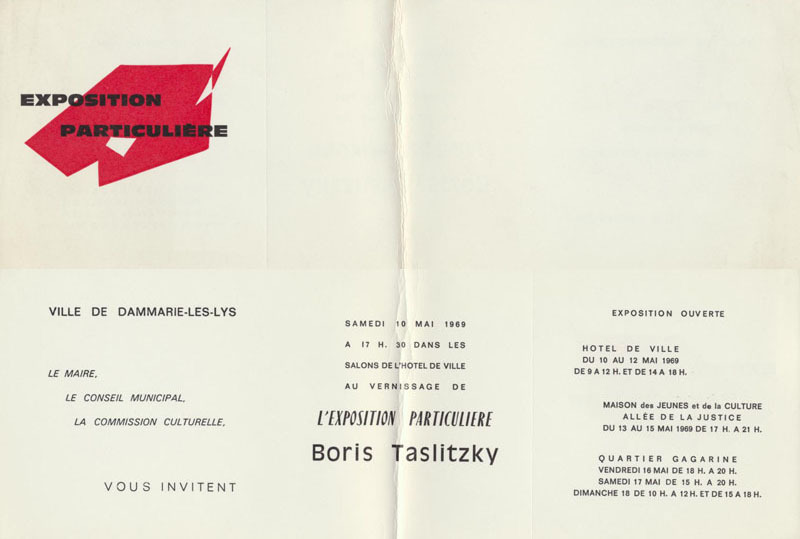 1974 : Publication of « Un Pommier de plein vent » drawings by Boris Taslitzky, poems by Jacques Gaucheron. 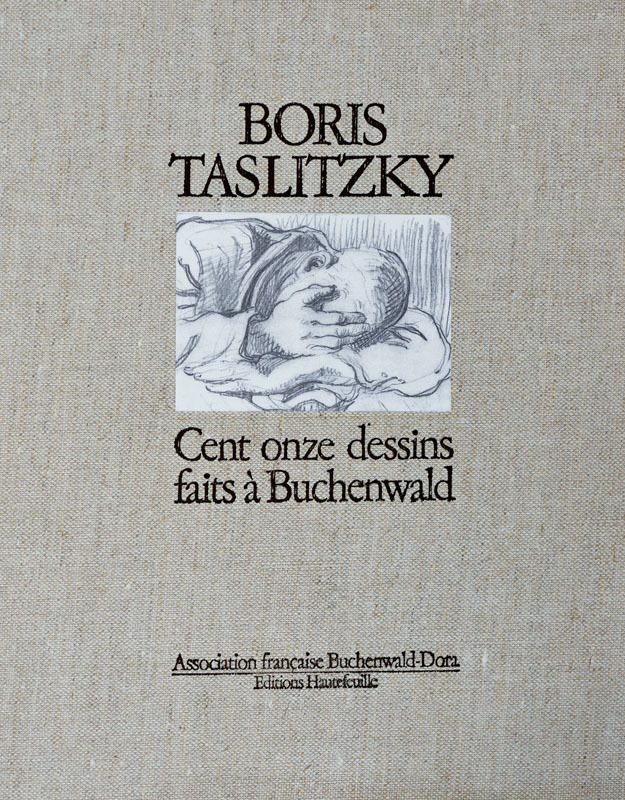 1975 : Publication of « Encountering the ocean » drawings by Boris Taslitzky, poems by Jacques Gaucheron. 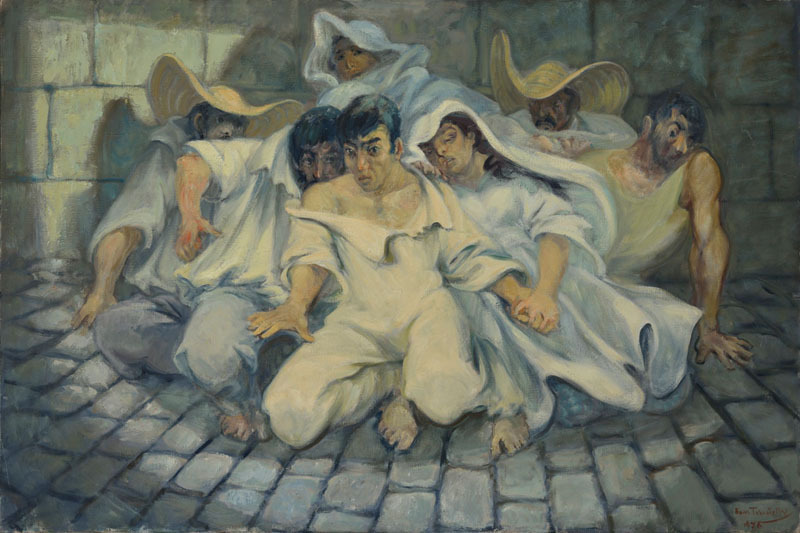 1976 : He exhibits « The peasants in central France block the roads » at the Salon of Painters Witnesses of their Time. 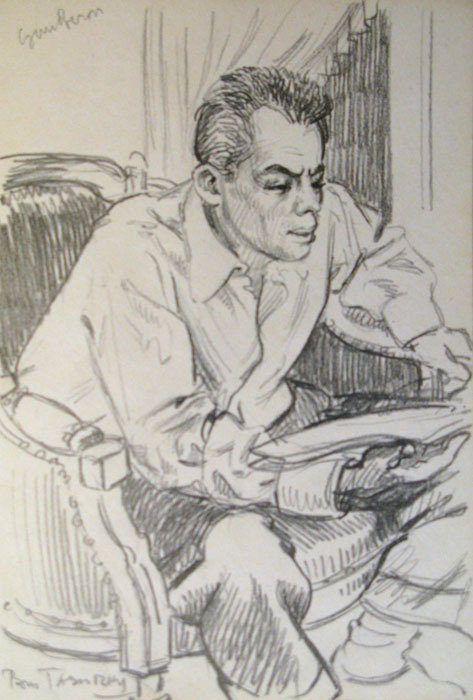 1978 : Second edition of « Boris Taslitzky, 111 drawings made in Buchenwald » French Association Buchenwald-Dora. 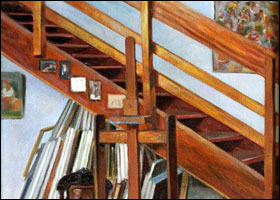 Hautefeuille editions. 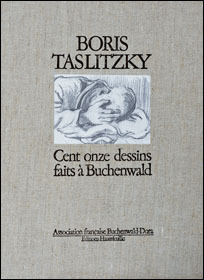 BORIS TASLITZKY, One hundred and eleven drawings made in Buchenwald, 2nd edition. 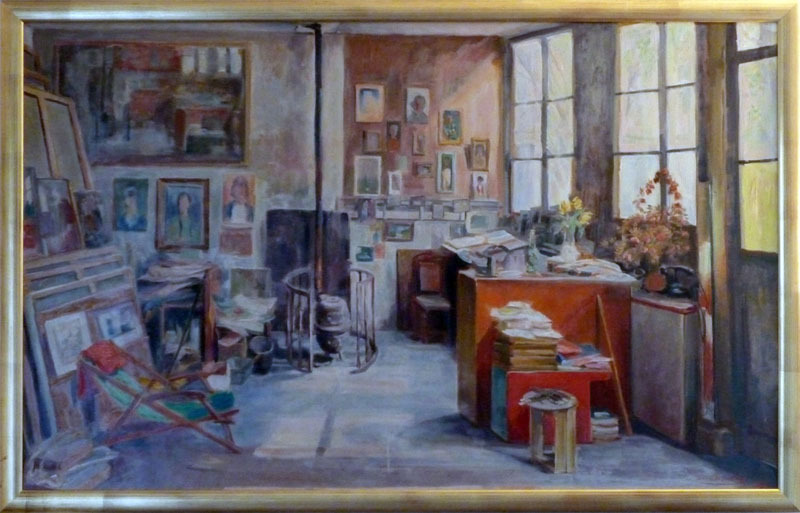 French Association Buchenwald-Dora. Editions Hautefeuille.